Getting rid of old projects or experiments that are not prepared for the public is very easy with Worka. It is vital that you show your skills in your online portfolio and sometimes you only need the best 3 or 4 projects to do so. 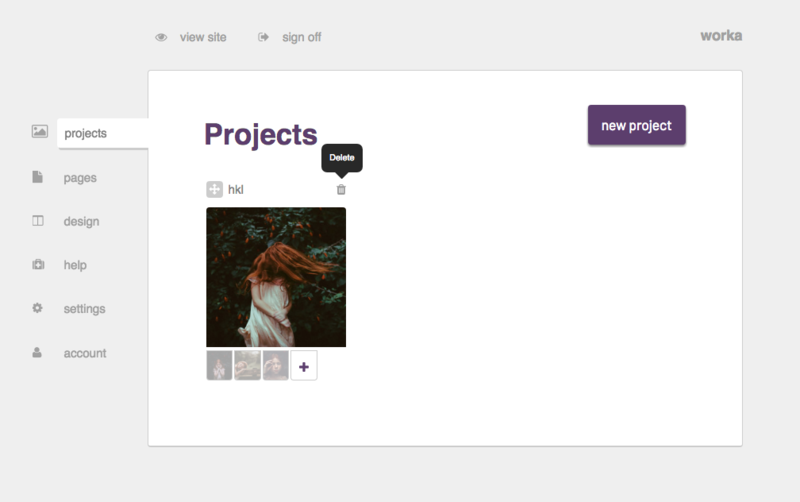 Because of that, you can delete your projects in the projects screen by pressing the little gear and clicking on delete.